​Retaining walls are an essential support system needed for many homes and landscaping projects. These walls are ultimately designed for the purpose of restructuring naturally sloped areas. They hold soil and dirt in place and allow homeowners to create flat surfaces that are cut out of sloped land. These walls can be purely functional, used to create a flat area outside the basement of a home or they can be used as a design element in landscaping projects. Regardless of their intent, they are a vertical support system, usually created with heavy bricks and concrete, that allows for a flat and even surface to be utilized. 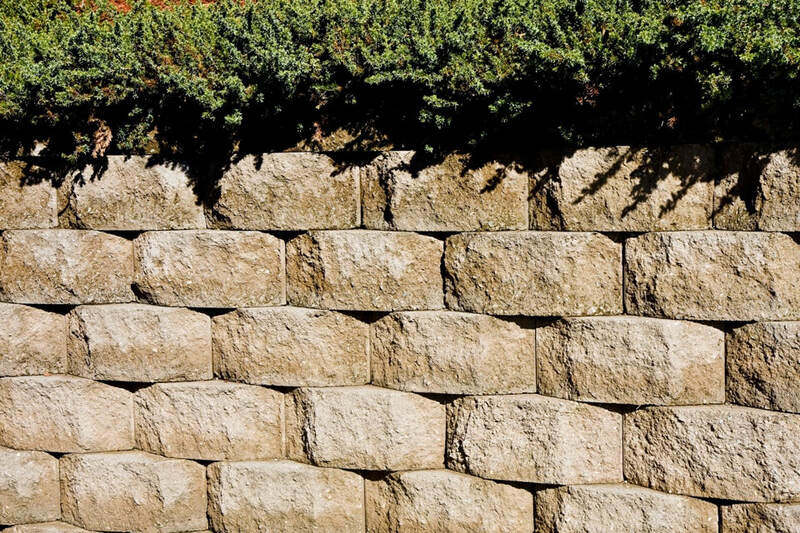 ​While retaining walls can be a DIY project, it is very important that these walls are installed properly and securely because they will face a significant amount of pressure and varying weather conditions over the years. Retaining walls may seem as simple as stacking bricks, but a proper retaining wall requires much more planning. For a proper retaining wall to be placed, a trench must first be made in the sloped surface. This trench must be evenly excavated and level, and then compacted properly so the wall will hold without any problems. After compaction, a base is installed, which is followed by layers of brick or stone. With each layer of stone or brick, proper securement must be installed, and the bricks must be sized properly to ensure an even and lasting wall. Backfill is added, capstones are placed, and then the project is complete. Every step of creating a retaining wall is like a piece of a puzzle, and it is important that all the steps fit together perfectly to create the perfect structure. At Authentic Stone Creations of Lexington, Kentucky, we proudly serve all of Lexington and the surrounding areas. Our team of experienced masonry contractors specialize in both residential and commercial projects, so no plan is ever too big. With over two decades of experience in the field, and an A+ rating from the BBB, you can feel secure knowing that we can help you design the perfect stone elements needed for your home and then install them with the precision and professionalism you expect. To discuss design options and get started on your retaining wall project, contact Authentic Stone Creations today.